Friendship Bracelets are Back + Giveaway! Do your kiddos love crafting like mine do? It’s exciting to see a project through from start to finish – and as a DIY-er myself, it’s cool to see my kids appreciation for the handmade. When WowWee sent us their Digloom ahead of their August 4th release, my creative tween was instantly hooked – so much so that we had to share here. Friendship bracelets are back my friends and making them is more fun than ever! 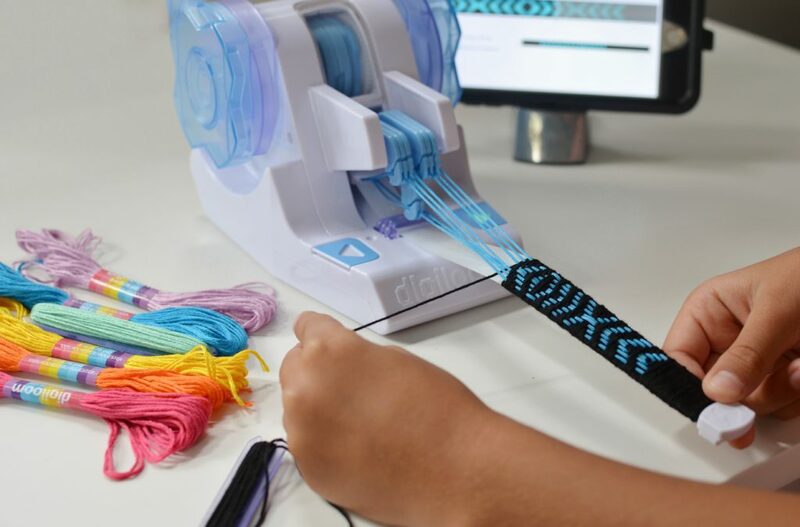 This app-controlled interactive digital loom allows the user to design their own cool patterns or select pre-made designs to weave into bracelets, headbands, anklets, bookmarks and more. The Digiloom is in no way one of those press a button and the machine does everything for you toys. 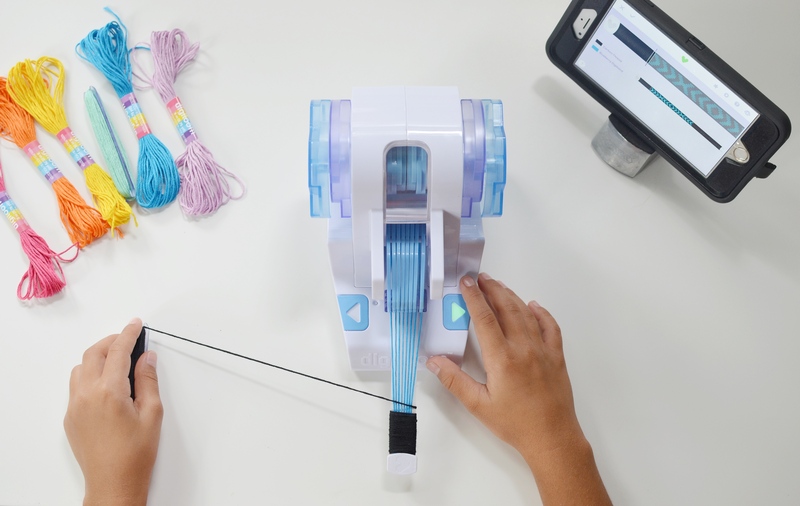 My nine-year old is engaged in every step of the process – as she’s the one doing the manual weaving through the app’s pre-set thread pattern. 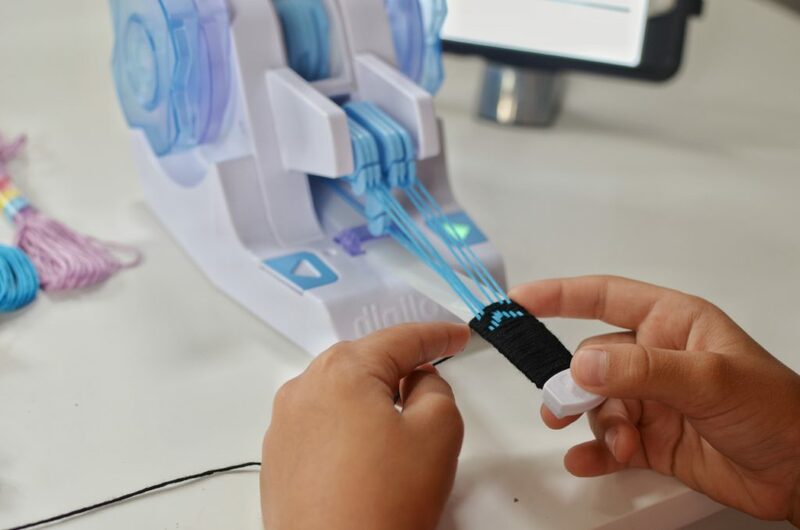 The Digiloom comes with enough supplies to make eight items, and we’re already ready to grab more kits. Hopefully, my girl will make one for her mama too! Find it exclusively at Michaels stores, tomorrow, August 4th. Win It! Our friends at WowWee are sending a Digiloom to one lucky MB reader! To enter, simply leave a comment on this post. For another entry, visit our Facebook fan page and leave a comment on the corresponding post. Our randomly selected winner will be announced on Facebook on Sunday evening, August 6th.